Holy moly, only 10? ONLY 10?! Good luck. You'll get at least 15. So, tell me. 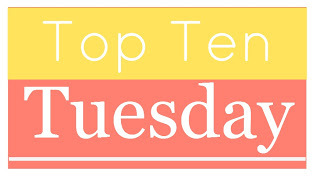 What are your Top Ten Books on the TBR this summer? I haven't heard of any of these books. I will be anxious to hear what you think of the Abbi Glines books. I just picked up a copy of The Vincent Boys and added it my my summer TBR list. I haven't read any of her books, but my friend recommended it. I know a lot of people that really like Abbi Glines, so I'm excited to hear what you think also! I've heard such awesome things about TTEN! I'm so glad you liked it! I have Dirty Little Secret and I need to hurry up and get to it! And oh, Unbreak My Heart. Ehh, that book. I hope you enjoy it better than I did! I like the new paperback cover. Thanks Kelly! I'll have to let you know when I'm done with Unbreak My Heart and see if we had the same reaction! I want the Distance Between Us now! I still need to read Under the Never Sky, but I've heard great things. 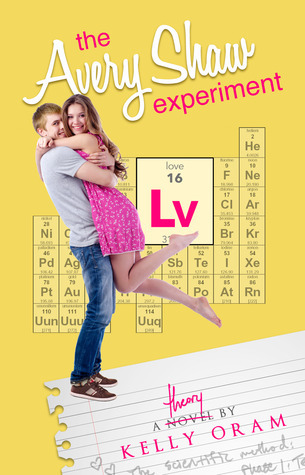 The Avery Shaw Experiment looks adorable. Great list! Thanks for stopping by mine! Oh, I loved Under the Never Sky! It definitely took some getting into, but once I did, whew. I couldn't put it down! You haven't read Hopeless yet? What? Come on girl get on it! *hands head in shame* I know. Seriously, I think I bought the book back in like February. Oo I see lots of romance-driven novels. I can guess what you like to read by the pool :D These all look pretty awesome and I have a few on my summer reading list as well! I hope you enjoy all of them! :D Nicole, those are my automatic go-to reads for the summer! Especially for by the pool! YAY! I had been wanting it ever since I first laid eyes on it! Jessica, you're right - you really DO need to meet Rush! The entire Too Far series is so great! I can't wait for If You Leave too - I loved Pax's story. And, I totally approve of you putting The Indigo Spell and Through the Ever Night on your list - those are two completely amazing books! :D Yay! Thanks Krista! Now I'm super excited and need to hurry up and read the review books I've got so I can get to these! You and I have the same feeling for the people who got Frigid at BEA, I was so jealous of all of them! I'm anxiously waiting for Frigid, I really hope it releases early! Can't wait to see what you think of Lost & Found and Unbroken! Great list Jessica! I will cry if it releases early. (Ok, probably not, but I will start screaming like a little kid at Christmas!) Thanks Ally! I was able to grab an ARC of FRIGID at BEA and omg, I loved it! <3 You're going to love it! I recently got added to the DIRTY LITTLE SECRET blog tour, so I can't wait to give that one a chance either! I've never read any of her books before. Eeeeep! Well, I've already told you on Twitter how jealous I am... so I won't do it again. :D I read one Jennifer Echols book (Levitating Las Vegas) and I didn't care for it much- but everyone told me her others are great and that DLS is really cute! I have Abbi Glines on my TBR list but I'm not sure when I'll get to it. Great list! Thanks Tsuki! I don't know when I'll get to these either. Soon, hopefully! Oh, I can't wait to read the Distance Between Us & Frigid! Some of these I hadn't heard of, so I added them to my TBR ;) Great picks, Jessica! Woo! Thanks Erica! My TBR grows so much doing these things. Everyone knows of so many great books! Thanks for stopping by my TTT post earlier. Happy reading. Haha! I've come across a few lists today where I've seriously got them all on my TBR, but haven't read one. Sigh. And my TBR is massively massive right now. I can't wait to read The Distance Between Us. Great list! Thanks Monica! I can't wait for it come out already! I love the Fallen Too Far series! You must read Lost & Found! :-) I have Frigid and Callie & Kayden on my list too. I need to check out Unbroken, I have seen it around but haven't picked it up yet. Great list! 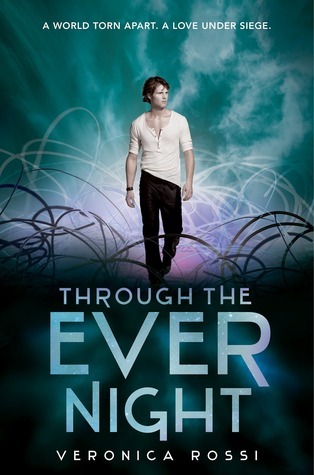 Through the Ever Night is SOOOOO good. I can't wait to hear what you think of that one. And I really need to get some of those others on my TBR list. I've heard great things about The Distance Between Us, definitely looking forward to that one. Eeep! I keep hearing how awesome TTEN is! I definitely don't know how much longer I can put it off. Distance Between Us has got to be one of my most anticipated summer reads. So excited! Huzzah, you did 15, too! I'm not familiar with most of these, but I've been thinking I should read the Veronica Rossi series; they seem to be getting lots of love on various blogs. I'll be keeping an eye out for your review. Enjoy your summer reads! Haha, thanks Lark! I knew there was NO way I could only do 10! It's not possible! Veronica's first book Under the Never Sky was really good- I really enjoyed that one! 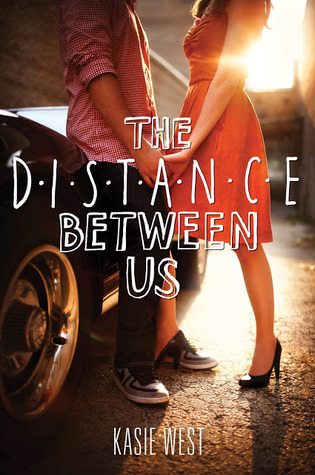 I can't wait to read The Distance Between Us! I'm not sure how I forgot to add that to my Top 10! Thanks Nikki! Only a little bit longer before we can have it! Thanks Krystianna! I definitely hope I can make a dent in some of these before the summer is over! Ruuuuush! Sigh. I love me some Rush Finlay. Except for Fallen Too Far and Unbroken both of which I've already read I seriously want to read every single one of these. BADLY. OOh nice! Hope you get to read all these this summer! Thanks for visiting my Tuesday post! Thanks Jessica for stopping by! I hope I can get a few read at least! Thanks Amy! Happy reading to you too! Fingers crossed Frigid gets released early! Thanks Chloe! JLA is awesome. I love her! Thanks Sara! I am super excited about all of them! This list is AMAZING! 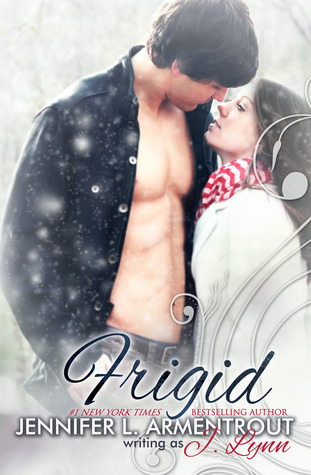 You are going to love Frigid, I just know it. Oh and Lost & Found is another fantastic one. Jesse is to die for. I too hope to read the Too Far books. I have yet to dislike anything by Abbi. SO may good books here! Happy reading! :D You know I'm excited about Frigid! And I've got to read Lost & Found pronto! Thanks Gabbi! I'm glad you liked Unbreak My Heart! I've been really looking forward to it! Aweomse list! I really want to read The Distance Between Us too, and Fallen Too Far has been sitting on my kindle for ages! You have quite a lot of summer-ish/beachy looking reads on there :) Enjoy them, and thanks for stopping by my list earlier! Fallen too Far has been on my Nook forever too! I just never seem to find the time! Distance between us! Really want to read that one. 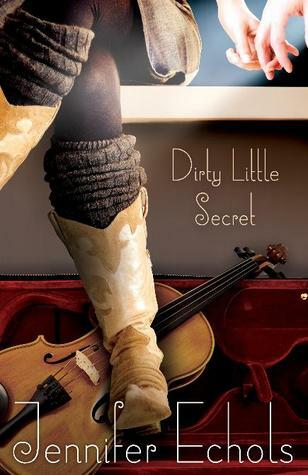 Also, Dirty little secret looks good -- and if I read more country music-ish books, I may just up and move to nashville. Haha.